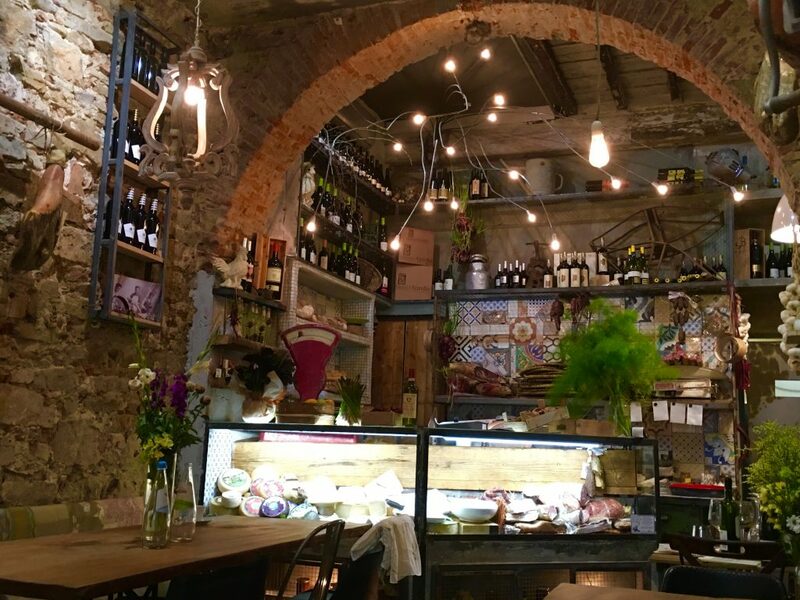 We were staying near Porta Roma in Florence just a little outside the city centre and it was here that I found the most delightful little restaurant. 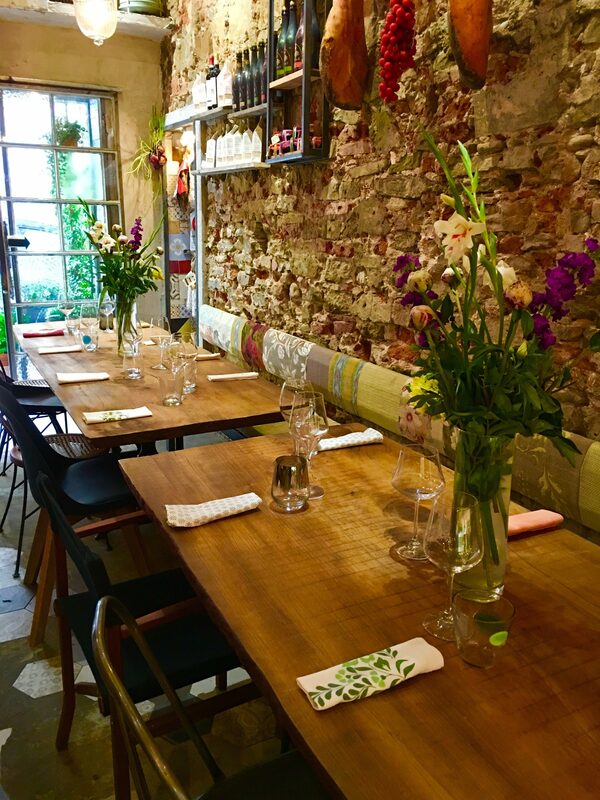 From a design perspective, the outside just spoke to me gently and said, “Come on in Carmen, you and your friends are going to just love it in here.” Of course, we did love it not only for the lovely decor but the delicious food. 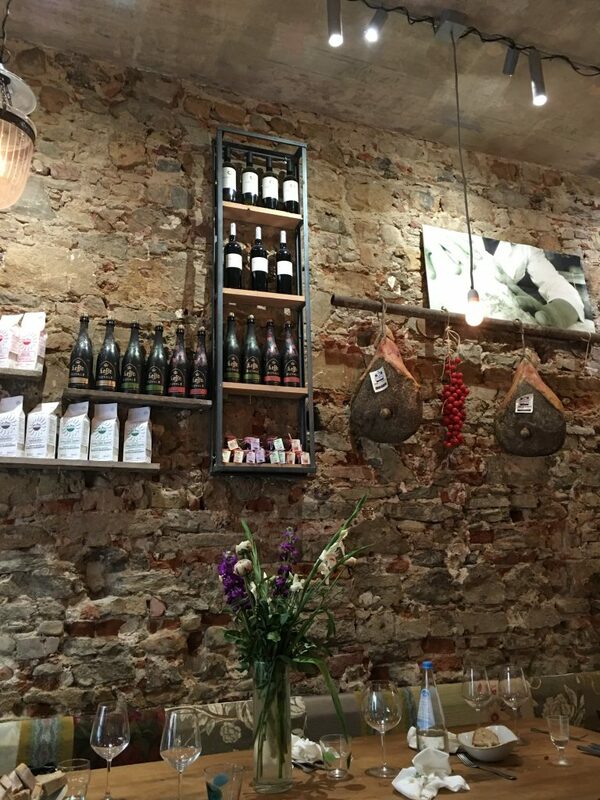 Introducing the quaint little Podere 39 located on Via Senese, 39/red, 50125 Firenze, Italy. This little restaurant had me at hello. The design elements were really beautiful from the stylish rusted iron lettering to the climbing Jasmine and pot plants. Stylish in the simplicity….everything I love. I suppose it’s okay….if you like that kind of thing. Well, we all did! Just look at the clever mix of so many elements from the lighting to the tiles and of course that cheese cabinet. My dream is to be accidentally locked in here overnight and I have to eat the cheese cabinet contents for survival. The Italians have a knack for mixing history with the new. They don’t just rip it apart and make it shiny and new. They work with the history and acknowledge the beauty of the old and that’s what makes Italy special. I don’t care for shiny and new…never have and never will because it’s the history and speciality of the hand-crafted that is the allure for me. Look at those walls….oh my! I look in detail at the work that has gone into making them hundreds of years ago and wonder about all of the lives this little space has had. Perfection in the imperfection. 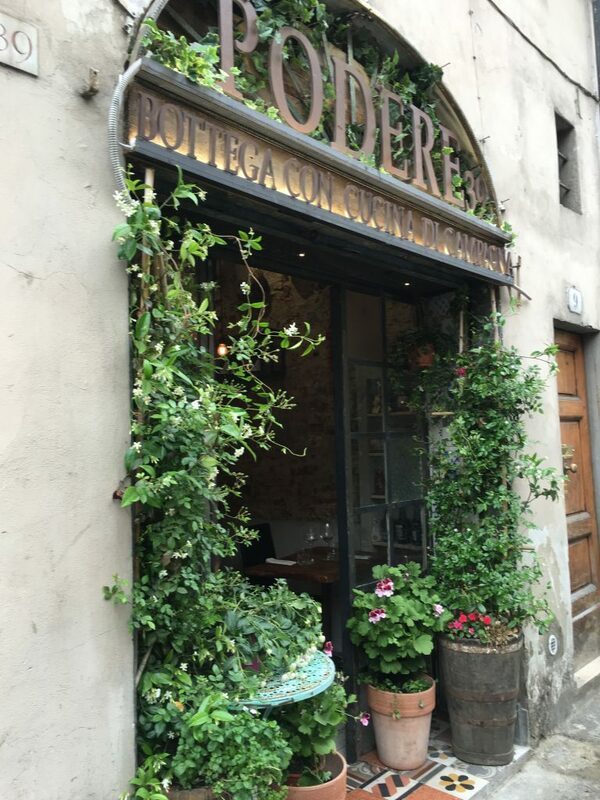 For the first night in Florence for my Design & Lifestyle Tour, this place was a great start. Beautiful food and atmosphere and fun to be had of course. 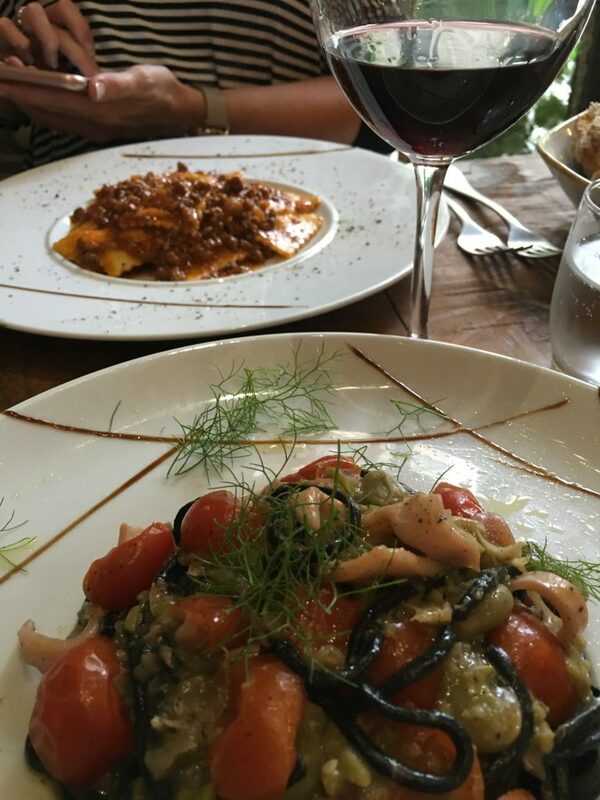 Well….what’s a girl to do when she’s in Italy but eat, drink and be merry. If you’re in Florence you might like to check out Podere 39. Want to get yourself to Italy and have your own fabulous getaway. So many women kept asking me about it so here is a Free Online Workshop I’ve created for you to show you how. Click the image here and you will have immediate access.